Here in Las Vegas and Henderson the weather is already starting to get warmer. While other cities still have snow on the ground we are beginning to see flowers bloom and the leaves grow back on trees. You may already be thinking about how much it is going to cost to keep your house cool in those hot summer months. There are some different things that you can do around your house that will help you reduce your utility costs once summer hits. 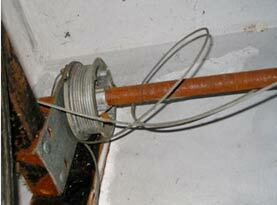 One thing that you may want to consider is insulating garage door. 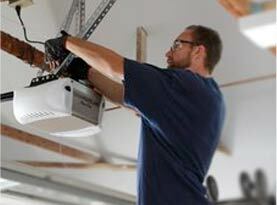 Insulating your garage door will help keep your power bill down. When your garage door is insulated it helps moderate the temperature in the garage. This will help keep your home cooler for a few reasons. First the air that is in your garage is not as hot when your door is insulated. When you open the door from the garage to your home the air that comes inside will not be as hot. The second reason it helps is that the rooms that are next to your garage will not get as hot either. The hot air that is typically in your garage transfers on some level to the rooms next to it. You have two different options for garage door insulation. The first option is to purchase a new garage door that has insulation already in it. The cost upfront is more on these but there are many benefits to them. In addition to keeping your garage cooler in the summer insulated garage doors are quieter than their non-insulated counterparts. The insulation helps to dampen the noise as your garage door goes up and down each day. Insulated garage doors are also more durable than single layer garage doors. In insulated garage doors the frame is filled with insulation that is sandwiched between the panels. This is what makes the door more durable. If purchasing an insulated garage door is not in your budget you can also choose to insulate your current garage door on your own. Compared to purchasing a brand new insulated garage door this option is much more affordable. 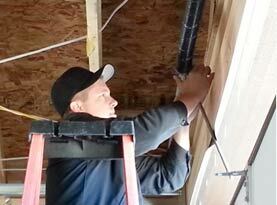 In addition to a cheaper price it is also relatively simple to install insulation. You can purchase garage door insulation kids from your local home improvement store. When you are working on the insulation you will want to make sure that you take your time to carefully measure and install each piece. Another way to help keep your garage more insulated it to replace the seal on the bottom of your garage door. Again this is an extremely easy and budget friendly project. 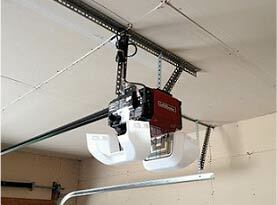 This will make it so that the air cannot come in from the bottom of your garage door. If you want to purchase an insulated garage door before summer gets here give United Garage Door Service of Henderson a call today. We can show you the different options that would be a good fit for your home and get it installed for you.